You're probably used to downloading email attachments, but each of those files takes time to download, eats up space on your device, and can get buried deep inside your "Downloads" folder. With today's update to Gmail, you can skip that whole process. Instead, you can view attachments and save files directly to Google Drive without ever leaving Gmail, making it easy to access them later from whatever device you’re on—computer, phone or tablet. The next time you open an email with attachments, you’ll see new previews of the files at the bottom of the email, from photos and videos to spreadsheets and PDFs. 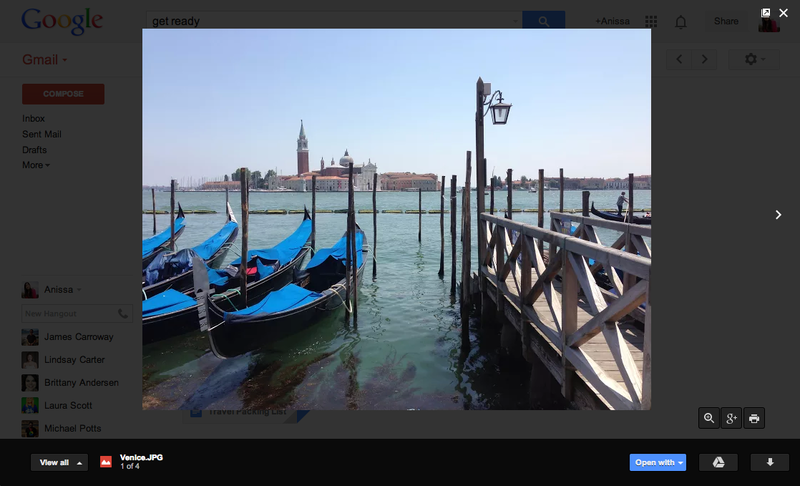 When you click on one of those previews, a full-screen view of the image or document will appear. You can read, search for a particular phrase, and even browse through multiple attachments right in Gmail. You can now also save your attachments directly to Drive simply by clicking the Drive button that appears when you hover over the preview. Of course, if you prefer to download the attachment to your computer, you can—just click the arrow button. This new attachment experience is available on desktop and will be rolling out over the next week. If you’re one of the more than 120 million active Drive users, you know that saving your files to Drive lets you get to them from any computer, phone or tablet. 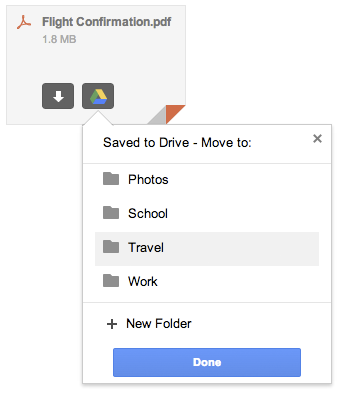 And if you aren’t taking advantage of Drive just yet, give it a try with your next Gmail attachment. The Docs editors make it easy to work with others on the same file at the same time. And the next time you are working with others on a presentation in Slides, you'll see their names appear next to their cursor as they type—just like in Docs. 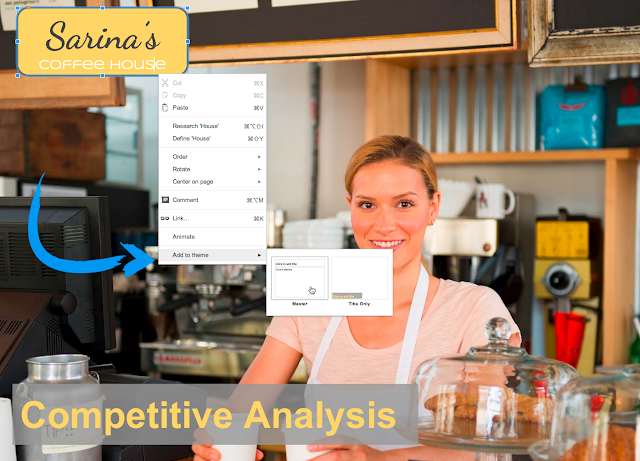 Also, many of you have been editing themes in Slides for the last few weeks and sending us helpful feedback. Today you’ll be able to make use of a couple of new ways to save time and customize your presentations. There may come a time when you want to reuse a theme that you worked hard to create, and now you can—just select “From another presentation…” in the theme chooser. 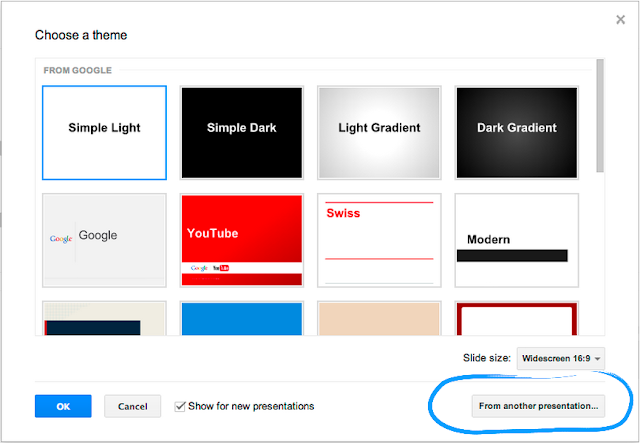 While editing a slide, you can now right click on any object and add it to a theme or a specific layout so that the next time you want to use it, it will already be part of the slide template. Let's say you're editing a body placeholder, and you change the font of your text (or other style properties, such as bold, color, etc.). You can now easily apply this formatting across slides that use the same layout by right clicking on the placeholder and selecting "Update in theme."